Handberg’s Marina offers short term RV camping sites on location with rates for weekly or daily stays. 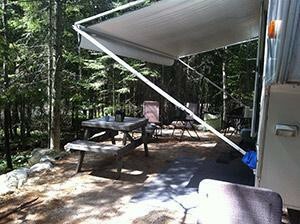 All RV camping sites come equipped with 30amp/50amp power for a fee, and a picnic table, fire ring, and dock. Call for any additional details. Visit the Handberg’s Store while you’re here for ice cream, groceries, and gifts! 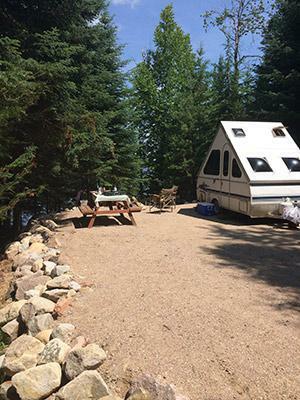 You can also rent a boat by the day or week and take full advantage of all that Crane Lake has to offer. Lake View RV Site has a good view of the lake along with a nice breeze. The site has electricity available (both 30 amp and 50 amp) for a small usage fee (each site is metered). Included with the site is water, a picnic table, fire ring and a dock. You are welcome to launch and pull your own boat at the marina free of charge or our staff would be happy to launch and pull your boat for a single $15.00 fee. Garbage bags are available for a $2.50 bag. Firewood is available for $5.00 a bag. 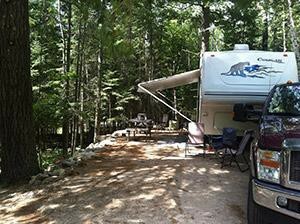 The Pines RV Site is nestled under a big White Pine tree. The site has electricity available (both 30 amp and 50 amp) for a small usage fee (each site is metered). 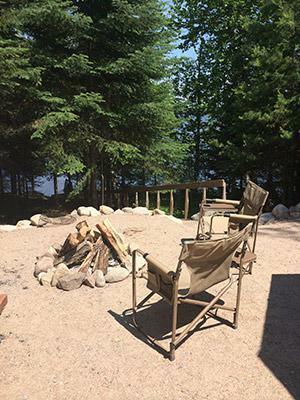 Included with the site is water, a picnic table, fire ring and a dock. You are welcome to launch and pull your own boat at the marina free of charge or our staff would be happy to launch and pull your boat for a single $15.00 fee. Garbage bags are available for a $2.50 bag. Firewood is available for $5.00 a bag.